RFE/RL’s Tajik Service reported facts listed on a government website and was punished for it. On November 25, RFE/RL’s Tajik Service — known locally as Radio Ozodi — reported that President Emomali Rahmon’s third daughter, Rukhshona Rahmonova, had been appointed a deputy head of the foreign ministry’s international organizations department. The day before, the ministry had updated its staffing structure and Rahmonova’s name appeared. A source within the ministry confirmed to RFE/RL that Rahmonova had been appointed “some 10 days ago,” but the change had not been publicized. Rukhshona, according to the foreign ministry source, has previously worked in Tajikistan’s London embassy. A president appointing his children to government posts is always a newsworthy event, and more so in Tajikistan because Rahmon has made it a habit. His son, Rustam, ran the customs service from 2013 to 2015 when he was appointed head of the state’s anticorruption agency. Another of Rahmon’s daughters, Ozoda, was elevated to the president’s chief of staff after serving as deputy foreign minister. RFE/RL carried versions of the story about Rukhshona’s appointment in Tajik, Russian, and English. According to RFE/RL the foreign ministry called the Tajik Service on November 25 and threatened to revoke the accreditation of the service’s Dushanbe-based journalists if the story was not taken down in five minutes. Given that the story was based on an official government website (which is still up) listing the staff of the foreign ministry, including Rukhshona, as a deputy department head, and was corroborated by a source, the news agency declined to remove the story. RFE/RL says it had been asked earlier in November to remove a different story, which it also declined to do. The foreign ministry revoked the accreditation of six Dushanbe-based RFE/RL correspondents on November 25. According to RFE/RL, the six correspondents weren’t even involved with the story about Rukhshona. RFE/RL — a U.S. government-funded broadcasting organization — has been the target of authoritarian ire throughout Central Asia. Its websites have been blocked in a number of states — Tajikistan since September 2015, for example — and its correspondents and staff (and their family members) threatened and abused. Local journalists working with regional services are often accused of being “unpatriotic” because the stories they report make the state look bad. While resting on government funding is far from ideal for any media organization, if not for RFE/RL, very little reporting on Central Asia would happen at all. The local services are especially critical. Indigenous outlets experience even greater pressure and abuse. They disappear suddenly and quietly. 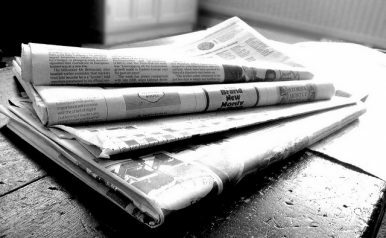 EurasiaNet recently reported on regional journalists dropping their pens, doubly crushed by economic forces troubling newspapers everywhere and also by state governments, which view them as far from necessary for a functioning society. No News Is Terrible News in TurkmenistanRadicalization in Central Asia: 'Not In Our Name'Copied Free Birds: Plagiarism Allegations Hit Kazakhstan's Government AgainKyrgyz President Wants to Talk to Trump About RFE/RLCan Kazakhstan Look to Uzbekistan for Economic Dynamism?